9) Really Reasonable Ribbon April Ribbon Club Asst. I will draw a winner on May 15th. Good Luck!!! Thanks for the chance at winning some great scrappy stuff! i post it on my side bar. thanks so much for the chance. congrats on two years blogging!!! thanks for the chance to win some awesome candy!! Congratulation for your blog!! Thanks for the chance to win your candy! What a awsom candy you're givvin' away. Happy Blogaversary Kerri! Thank you for bringing inspiration and wonderful art! You are a very-very talented girl! I just left a couple of comments on other blog posts but thought I might as well enter your giveaway while I'm here. I can save you the trouble of giving this stuff away as your doing the drawing exactly on my birthday! LOL! I love your blog and have become a follower. I'll be back to visit again soon. thanks for the chance at your Yummy candy! i really love your blog and i get lots of inspiration from it! Hi and congrats , am already a follower and have added your candy to my sidebar. Wow, what a beautiful candy Kerri, I'l will joining it! What a wonderful blog candy Kerri. I always know I'm in for a real treat when I click on your blog! You know I love your work! Thanks for offering this wonderful blog candy and congrats on your 2 year blogging milestone! Congrats on two years blogging :) Thanks for the great giveaway! Спасибо за шанс!!! Это замечательная конфетка!!! What a fantastic giveaway. Congrats. ein toller Blog Herzlichen Glückwunsch. Congrats on your 2 years. Thank you for the chance to win some wonderful candy. Thanks for the chance to win this yummy candy. Keeping my fingers crossed that I'm the lucky one. but i have posted your candy on my blog...and have linked my name here...!!! Wonderful candy! I'm a new follower... found you from Really Reasonable Ribbon's Blog Hop and I'm so glad I did! You have beautiful creations! Wonderful candy! 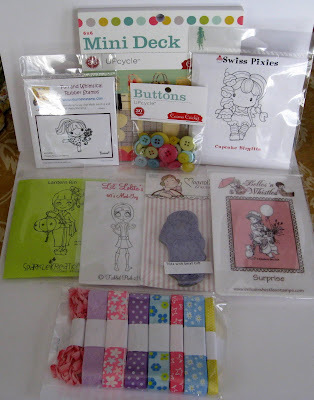 I'm also anew follower... found you from Really Reasonable Ribbon's Blog Hop and I'm so glad I did! Wow! 9 items in you candy? I feel great to hear that. Thanks for this opportunity. Your candy is on my sidebar now. What a great candy - i love the ribbons. thanks for the chance to win that great stuff. congrats on 2 years. I posted about your candy on my blog. Thanks so much for offering this delish candy to celebrate your 2+ years of blogging. That's wonderful! Hey Kerri!! Thanks so much for the chance to win some great candy!!! thank you for this blog candy! So glad to have found you! Thanks for the opportunity to win! i post a link to your candy on my blog sidebar. awesome candy! thanks for the chance!! Thanks for the chance to win this great blog candy. Added a link to your blog to the side bar of my website. I've linked you candy in my sidebar! Your blog candies, they're looking pretty awesome! Happy Anniversary! I would love to have the opportunity to win your blog candy. It's awesome! Congrats on your two years! Great blog! you such a lovely blog and I am now a follower. Your work is absolutely wonderful, and you have been an inspiration to me. I am now a follower and have let others know about your giveaway on my blog. Congrats on your blog anniversary! I am your newest follower and am posting this on my blog. Congratulations! Thanks for the chance to win some awesome goodies! Blogging is SO MUCH FUN! Congrats on your 2 year anniversary. My ONE year is coming up soon, and I can't believe it! Thanks for sharing your creativity with us, and for a chance at some fabulous candy! HUGS! Congrats to you on you anniversary and thank you very much for the chance to win! Whoo-hoo! I am linky number 100! That's got to be lucky right? lol I am a new follower and love it so far! Thank you for the opportunity to win the blog candy! Thx for this amazing chance to win!!! I'm a follower, and I posted the candy in my sidebar (date order)! Thanks for a chance to win! Wow, what a great bundle of candy...Thank you for this chance of winning such goodies. Always a treat to receive a surprise treat in the mail. Happy that I found your blog and great candy. Have a link on my sudebar and am now a follower. Awesome giveaway...i'm a new follower and love your blog. TFS! Really cool prize package! I want!! Wow, what an awesome giveaway!! Thanks for a chance to win. I am a new follower of yours. I really like your blog and all your projects!! I would love if you would stop over to my blog and follow too:) I also have a giveaway going on...come and check it out. I look forward to seeing all your creations.! I addedd your giveaway to my blog! Thanks for a chance at such a great giveaway! Great Blog Candy, thank you for the chance to win, am following your blog and posted your giveaway on my blog. Kerri, I am a new follower and I posted your blog candy on my sidebar. I look forward to seeing all of your creations. Congrats on your two year blogaversary!! Thanks for sharing your generosity, it looks so yummy!! Happy Anniversary! I became a follower and posted your blog candy link on my blog. I have not been blogging long and would like more followers! Thanks for the chance to win. I'm a new follower and just posted the giveaway on my blog...thanks for the chance to win! Love your blog! Happy Anniversary! I am not a new follower and I have posted your link to my blog. Thanks so much for such an awesome giveaway. Congrats on your two year mark!!!! I am a new follower of your blog I have linked up but just in case here's the link to the post I made up about your giveaway. This is an Awesome giveaway!!! I've never used any of these products, so of course I would love to win!!! Thanks for a chance!!! Congrats and Thanks for the chance! I¨m a new follower from Spain.My email is "mariareycosta@gmail.com" and my blog is "nedapatchwork.blogspot.com". What a very inspiring blog you have. I love your layout and BG. Thanks for the chance at some blog candy. I found you on one of Vicki Dutchers posts. :) Thanks Vicki. Thanks for the wonderful candy - yum, yum. Wow I think I am in love with your blog candy. :) So much awesomness there. I am a new follower. Thanks for the chance to win, I have posted about your giveaway to my blog. Love the blog candy! Thank you for a chance to win. Check out the post on my blog! Thanks for the chance to win this fab candy...only just discovered yoru blog but love your work and am now a follwer! Thanks for the chance to win, love your work. May 15 is my birthday, hope I will be lucky. Awesome giveaway. Thanks for the chance to win some awesome candy. The girls @ paper wings sent me. Awesome candy. ♥ Wow! What a sweet and generous giveaway! Thank you for being so kind! I am a follower and have posted your giveaway on my blog's Candy Corner! The girls over at Paper Wings sent me - love your blog. Can't believe I am a newbie! Thanks for a chance to win..
Great CANDY! Thanks for the chance to win. And Congrats to you on your blogaversary! Congrats on your two year blogoversary and for being chosen this months SYFTT guest designer. THat's how I found your blog and I'm so glad I did.Your work is lovely. I'm tech challenged so no blog of my own, but will definitely register as a follower. Thanks for the generous giveaway. Here's to many more blogoversaries! I am happy to find your blog :) And to take part, thank you so much. congrats on 2 years. I posted about your candy on my blog.I hope you will come visit and also become one of my follower I am new at this just been doing this for 5 months now. Definitely have a sweet tooth for blog candy...especially when it contains some Cosmo Cricket! Thanks for the chance! Thanks for the change to win this great blog candy!! The buttons are so cute! Thank-you for hosting such a wonderful giveaway! Congratulations. Thanks for the chance to win a generous amount of candy. Good luck everyone. Yummy...gotta love me some blog candy!! Just became a fan....added to the linky...posted your blog candy on my blog. Thanks for the chance to win. Love your blog. Thank you very much for possibility. Parabéns pelos dois anos de Blog! Ele é lindo! Já sou seguidora e fã! Seu blog é maravilhoso, seus trabalhos são lindos, com certeza ja sou sua seguidora, postei o sorteio no meu blog. Espero ter sorte desta vez....dedinhos cruzados e muita boa sorte pra mim. Obrigado!!! I'm so happy I just discovered your lovely blog!! Beautiful work!! What a nice gift... congratulations!! oi amada, meu nome é samanta penteado. Congrats on your's blog 2 years! ohh what fun candy. Thanks for the chance to win. Happy blogaversary! :) And thank you for the chance to win these goodies. That's very sweet of you. Hugs! Awesome blog candy and not to mention what a fantastic and inspriational blog. I can't believe I only found you today - I would have become a follower anyway! Hi , I'm just popping in to meet you. I'm a new follower and congratulations on 2 years blogging. Thanks for the chance to win your candy and have a great day. Hope to see you over at mine!